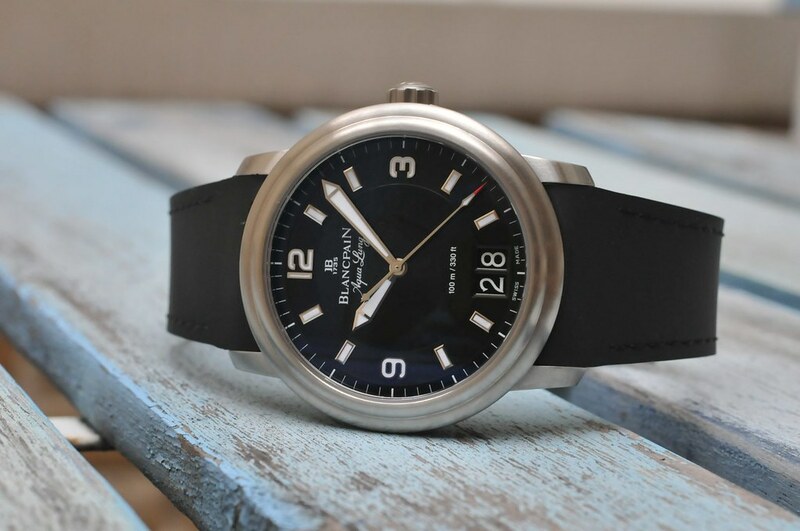 I’m offering a beautiful Blancpain Aqua Lung for sale. This watch is one of a limited run of 2005 individually numbered pieces and was sold new (by an official Blancpain dealer in The Netherlands) in November 2009. The diameter of the brushed stainless steel casing is 40 mm while the thickness is 11,4 mm. 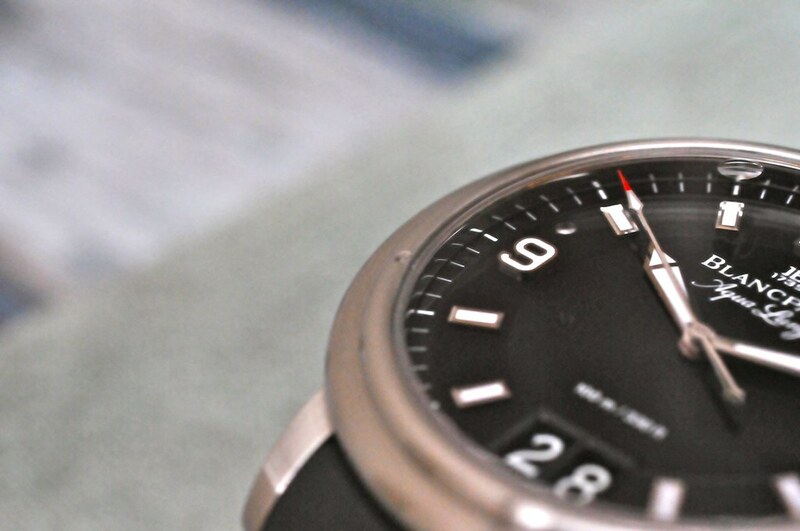 The watch is fitted with anti reflective sapphire crystal and has a sapphire glass back as well. The Aqua Lung has a screw down crown and is waterproof to 100 meters. The Blancpain reference number of this model is 2850B-1130A-64B, and houses an automatic Blancpain calibre 6950 with a power reserve upto 70 hours. New price in 2009 was € 7.900,= and I’m offering it now for € 4.250,= plus S&I. The watch is in ‘like new’ condition, and of course it comes complete with the original inner- and outer boxes, as well as the original booklets and certificate. It’s still under factory warranty. Update June 16th, 2011: This watch is now sold. This entry was posted on June 10, 2011 at 19:03 and is filed under all, sold. You can follow any responses to this entry through the RSS 2.0 feed.